Happy (second) Work Wear Wednesday, y’all! 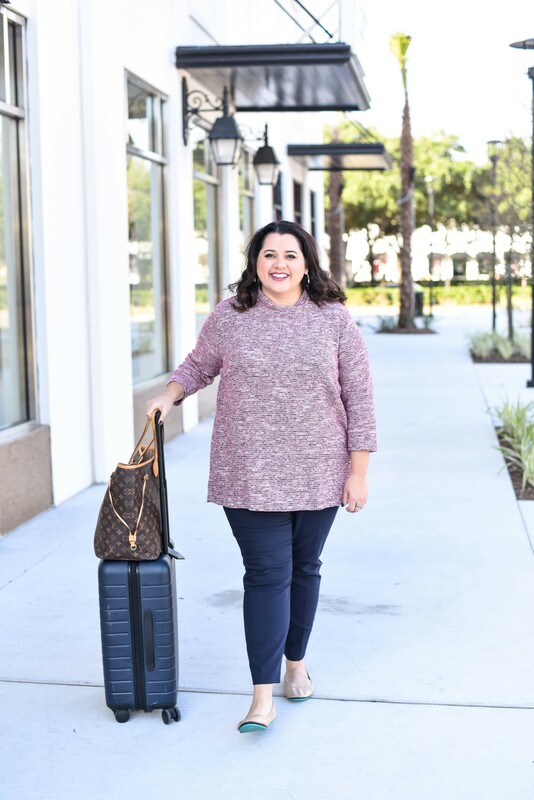 I am so excited to be teaming up with Gwynnie Bee to share how their clothing subscription service is perfect for having a (practically) unlimited closet full of business casual clothes. If you’ve been following SGSB for the past year or so, you’ve probably seen me talk about their amazing service and share some of the fabulous pieces of clothing I’ve received (Did you catch last month’s post where I shared how I styled a breezy, floral maxi dress for both day and night? If not, you can check it out here). 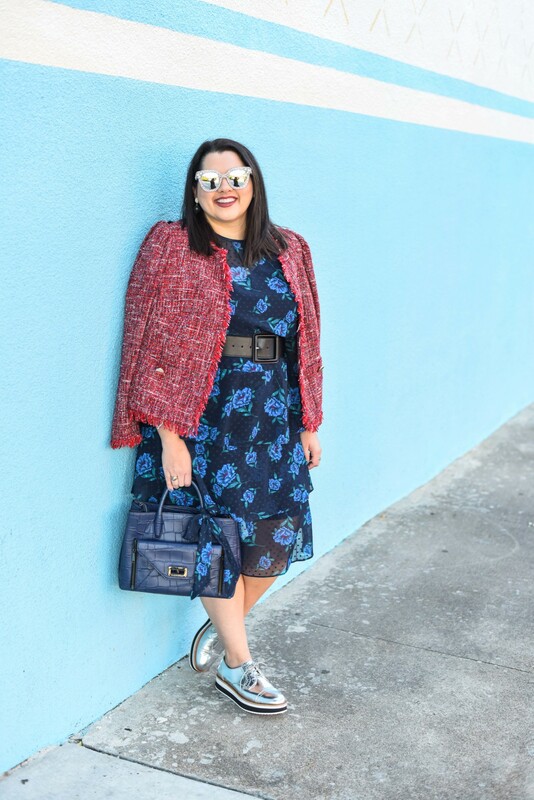 If you’re not familiar with Gwynnie Bee, it’s basically the Netflix of clothing (sizes 10-32). On their website or mobile app, you “closet” pieces that you would like to have shipped to you. And if it’s something you are super interested in receiving, you can “prioritize” it. Using their algorithm, Gwynnie Bee will send you items you’ve favorited. Now, if you are like me and have trouble choosing which items to pick and which size would be best for you, GB has got you covered. First, they have everyday women in all different sizes try on all of the pieces before they are released on the website and leave an honest review of the fit and feel of the garment. Secondly (and my most favorite feature) is the Size Advisor which will recommend a size for you based on your previous rentals (and how you rated the fit/if you wore the garment or just tried it on) or if you are newer to the service, they may ask you about what size you are in certain brands. And viola – you are ready to closet the item and going on your day being stylish. 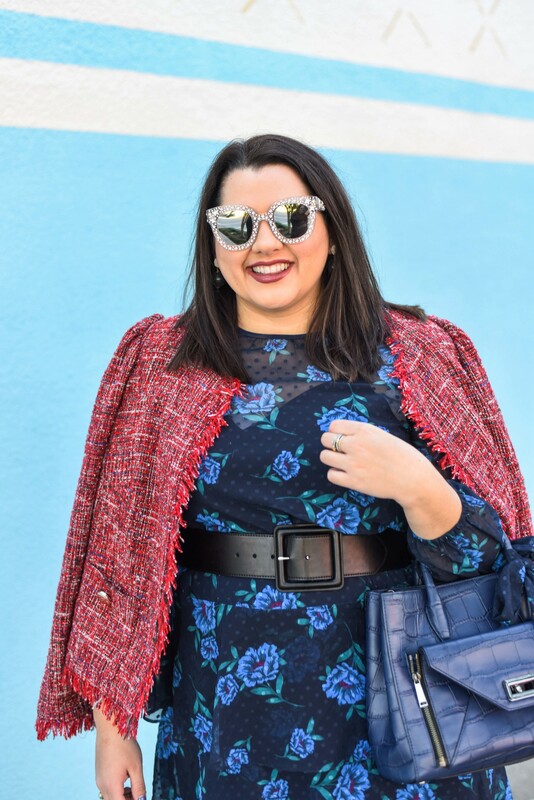 I started using Gwynnie Bee over four years ago (about a year after I started working full time) and it was one of the best decisions I’ve ever made because it allowed me to test out trends in the work place to find out what I was comfortable with and really hone in on my style for work. There were definitely a couple of days where I rented something and it felt right when I was in my apartment or hotel room, but when I got to work, I felt uncomfortable throughout the day. Luckily with Gwynnie Bee, I was able to package it up in it’s purple envelope and send it straight back to their warehouse where they dry clean it and prepare it for it’s next lucky lady. But, there were so many more times where I received an item in my shipment that was absolutely perfect that I couldn’t resist parting with it – like this grey dress from the collaboration GB did with Tocca. 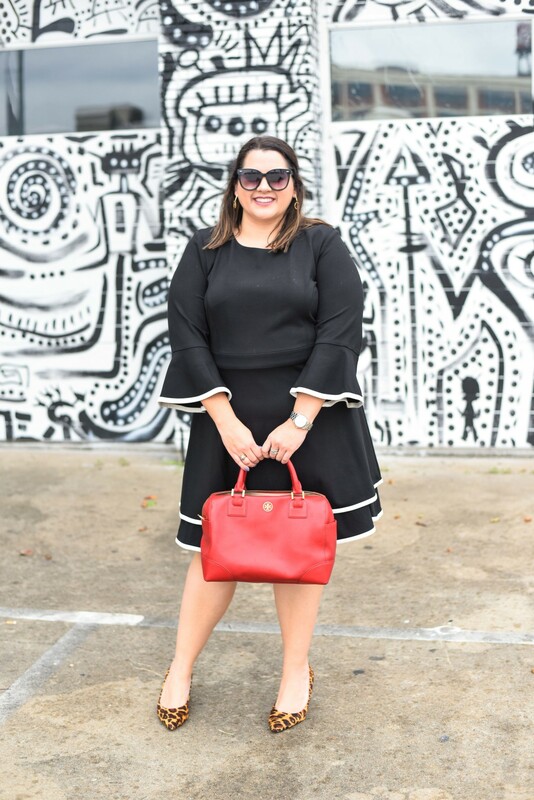 This charcoal dress is so polished, has the perfect amount of stretch (so I don’t feel confined while sitting most of the day) and has the right amount of detailing on the chest to add a bit of dimension without overdoing it for the office. I am seriously so obsessed with it, I could not let it go back to GB HQ, so I purchased it from them (at a reduced rate) and they immediately starting prepping my next shipment. 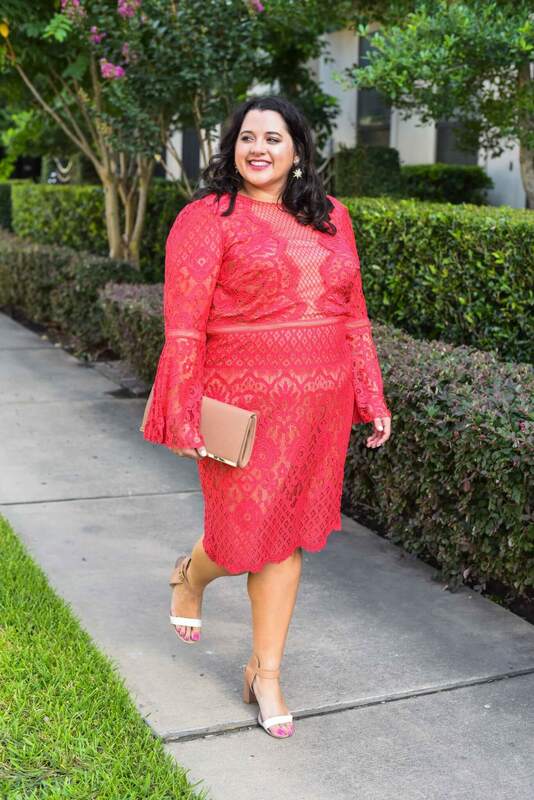 I can almost guarantee that this dress will be worth it’s price because I anticipate wearing it at least once a month when I need that extra boost of confidence. What have you worn before that ultimately made you feel self-conscious? I would love to hear your stories in the comments. Have a great Wednesday, y’all! Go conquer that to-do list, you girl boss you!